Doonside resident Colin Campbell has recovered from bowel cancer thanks to early detection. 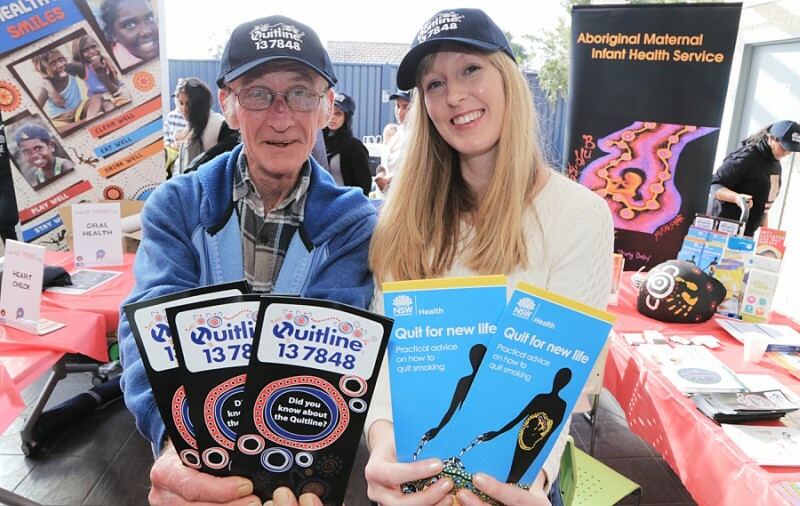 The St Mary’s Star ran a story on WSLHD’s work with Marrin Weejali Aboriginal Corporation in Mount Druitt to encourage the Indigenous community to quit smoking. The Fairfax regional papers, including the Blacktown & Parramatta Sun, ran a piece on Doonside man Colin Campbell, who owes his life to a simple bowel cancer screening test. We encourage people to get screened! Westmead Breast Cancer Institute director Associate Professor Dr Nirmala Pathmanathan spoke to SBS TV about poor breast screening rates among Arabic women – and what we can do to change them.